The performance art of hypnosis is a constant skill you must practice to perfect. The skills of what to do and how to do it will need to be perfected if you are to become a great hypnotist. There are different performance principals of hypnosis you should be practicing to sharpen your skills. The first four performance principals we have talked about are worth perfecting. Principals of going first, meaning you first immerse your self into the idea that you wish your subject to become a part of through your language. Squeezing the meaning from your words, in which you make the words you use sound and feel like the true nature of their meanings. Emphasis, which is learning when and what words to lean on in order to accentuate your point. And finally, the principal of rhythm and tone, in which you add a unique style to your conversation that will help your listener to get lost in your voice and language. These are all ways to enhance your performance as a hypnotist so you are a part of what you are doing with a subject. These principals not only help lead your subject through a trance they will help you become the authority figure within their trance. By becoming the authority figure you will be able to control your subjects trance and produce the outcome that is favorable for you and the subject. Now that you are acquainted with the four principals of performance you will need to learn how to use tonality to enhance your hypnosis abilities even further. One of the tonality concepts that will help here is to develop a trance voice. Developing a trance voice is not a tool that will immediately switch your subject’s brain off and put them under a sort of instant spell. What it will do is help you to develop a tonality to your voice that will educate the unconscious mind as to when to go into trance. Music is a prime example of this. When you hear certain songs or types of music it brings in a flood of memories, thoughts and ideas. This happens because the music has set off a certain trigger in the head that recalls related experiences. As your subjects work with you they will begin to unconsciously recognize your trance voice and eventually learn to enter an altered state of mind on its cue. You will be learning to develop different types of trance voices that will signal to your subjects when they should or should not be in trance. This dropping into trance when they hear a certain tonality in your voice will happen because their unconscious mind will suggest that it is time to come in to play. Your hypnotic voice or trance voice should be of a tone that people will enjoy listening to. It should be easy to portray your words smoothly and elegantly when you use this voice. It is also important to remember to only use your trance voice when you want people to go into trance. You should never use this voice if you are speaking with someone who needs to be concentrating on a specific task such as driving or operating heavy equipment. As you develop your trance voice you will notice that emotional triggers will assist you in setting the stage for your hypnotic voice to the full extent. Tonality is a large part of trance voice. Your tone of voice can range between three types; upward inflection, straight and level and downward intonation. When you are using any one of these three different types of tone your meanings will change and your message will change. If you are using upward inflection your statements will take on the sound of a question. Using a straight and level tone will make a simple statement. And if you incorporate downward intonation, usually at the end of a sentence, you words will take on that of a command. The questioning tonality will help you in developing what we call a nonverbal ‘Yes Set’. This is pretty straight forward; you are using tonality to ask a question that the person will inherently answer yes to, or nod in agreement. The yes set is a great way to check in on your subject to make sure they are following along with you. You can also use it to list a series of items, ideas or thoughts. The yes set will more likely than not force you’re subject to keep up with you as you speak. Another way to use the questioning tonality is to use it as a tool to ‘Create Doubt’ in your subjects mind. You can cast a shadow of doubt on many things and ideas simply by breaking one simple question down into several well emphasized questions. You can also create doubt by repeating the statements of the people around you and adding emphasis to different areas of the repeated statement. When you repeat with emphasis what someone has just said to you, you are accessing a powerful way in which you can cast doubt or suspicion without actually having to say that is what you are doing. The hypnotic principal of ‘Imply Don’t Assert’ is another way to use the questioning tonality. This is a powerful way of getting your point across again without actually having to state the exact words. Implication is always more pointed than actually saying what you would imply. ‘Keep Em Talking’ is a questioning tonality that uses nonverbal communication along with a question or statement to extract more information from a person. If you make a statement or question and add raised eyebrows to your facial features you are nonverbally asking for them to add new information to what they have just said. Because you are adding no new information in this, just repeating what they have said along with a nonverbal cue, they will automatically be inclined to add more information for you. The next type of tonality that is useful is the command tonality. The command tonality is used to cement everything into place; it gives you an instruction to make the thought or idea a permanent one. It activates the side of the brain that wants to respond to you by fulfilling a request. This tonality will not make everyone you command do everything you command them to. It will however entice people to do things when you do the right steps. In command tonality you will be most successful if you use downward intonation and use them with a question. This will get the most bang for your buck. Experiment with a question, any question, as you do so change the upward and downward intonations in your voice as you state the command. You will see that ‘command tone down’ has a powerful implication where action is being asserted. 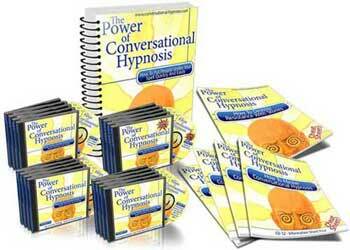 This is a great tool for conversational hypnosis and one you should practice. When you start to master how to ‘command tone down’ you will see a reaction in people that many want to do what you are telling them to. Questioning and command inflections will greatly improve the level of response you get from people. They will tend to respond more powerfully to what you are asking if you learn how to use tonality and inflection to phrase your statements. A hypnotist must definitely have a unique look and an appealing voice so as to hypnotizing others becomes an easier task.